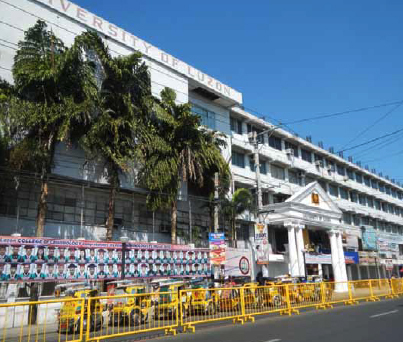 University of Luzon started as the Luzon College of Commerce and Business Administration (LCCBA) to a motley enrolment of 50 students in 1948. In 1952, in its first attempt in the CPA Board Examinations, it made a record by registering a one hundred percent passing rate, hence, it has placed a small provincial school in the nation’s map of prestigious institutions of learning. Later named as Luzon Colleges, it slowly carved a name for quality instruction and a tradition of excellence in its various program offerings. Through the years, it has produced topnotchers in the licensure examinations for accountants, engineers, medical technologists, nurses, teachers and criminologists, aside from producing thousands of licensed professionals who are leaders in government and in their chosen professions. It attained a peak of enrollment of more than 16,000 students in the early and mid-eighties during which it developed excellent instructional capabilities as well as relevant and practical extension and research programs. In 2002, it was granted university status by a unanimous vote of the CHEd Commissioners. It earned Deregulated Status in 2003, and in 2009 it was recognized as the first and only Autonomous University in Region 1. With two (2) Centers of Excellence (Criminology, 2008 & Education, 2010) and a Center of Development (Information Technology, 2013) by CHEd, and with five (5) programs granted Level IV Reaccredited Status by PACUCOA (Liberal Arts, Business Administration, Criminology, Elementary Education and Secondary Education) and with Level III Reaccredited Status to BS Nursing and five (5) programs in its Graduate School (MAED, MAN, MBA, MPA & MSC) it has hurdled the Institutional Sustainability Assessment (ISA) in 2015, hence its “Autonomous Status” has been reaffirmed.